The discovery of Japan by the west is a tale of legends. As American gunboats entered it’s harbors back in the 19th century, the samurai realized they needed to modernize quickly. In doing so, they became an economic world power whilst keeping its time honored traditions and respecting the population’s desire to stick to old values and traditions. Foreigners were only allowed in a handful and asylum seekers had no chance. But now, immigration-shy Japan can no longer circumvent its tight labor market. The strict visa regulations are being relaxed for foreign employees as the need for workers is higher than ever. From next year onwards, Japanese companies will be able to recruit low-skilled labor from abroad on a large scale to fill their vacancies. The Japanese parliament decided as much this weekend after a marathon session. The decision is remarkable for the immigration-shy country that is Japan, but given the aging population and declining birth rate, there is an urgent need for workers as the country suffers a large labor shortage. There are one and a half times as many vacancies as job seekers. "Japan plans to bring in as many as 345,000 foreign workers under a divisive new law aimed at addressing chronic labour shortages"
The new law creates two new visa categories: one for low-skilled workers, who can stay for up to five years and another for employees with 'specific skills' and some knowledge of Japanese. They may take their family members with them and apply for a permanent residence permit after ten years, provided they have not violated the country’s laws. It is expected that many low wage Asian countries will send their countrymen in large numbers to Japan as from 2019. Meanwhile the Japanese government was probably hoping for American or European workers. The latter category of workers that will be allowed residency is unique for traditionally closed Japan, a country still ethnically homogeneous with a strict refugee policy and relatively few foreign residents. But that strict regime can no longer be maintained. Japan is an aging society, with now already 28 percent of the population over the age of 65. The improving economy has once again increased the labor shortage: more and more companies are going bankrupt due to a shortage of staff. In recent years, many foreign workers have been brought in by a detour, for example by allowing language students and 'trainees' to work regularly. In total, the Japanese government expects to attract 345,000 foreign workers over the next five years. 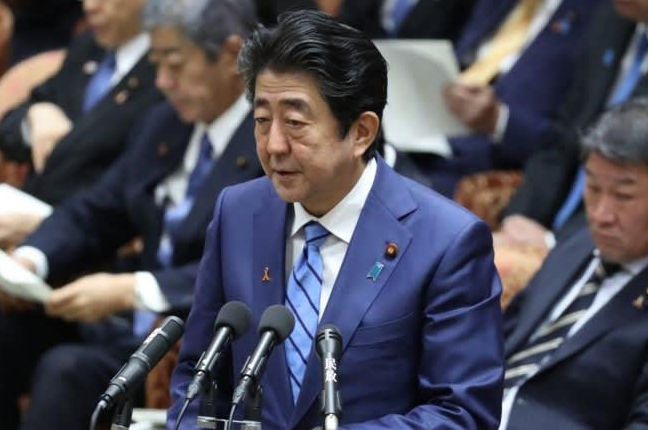 Although Japanese Prime Minister maintains at high and low that there is no immigration policy, there seems to be a watershed in thinking about foreigners in Japan. "I hope this will make it possible for the public and the government to accept a multicultural and inclusive society," said Japanese Justice Minister Takashi Yamashita on Friday. In Japan there is discussion about how great the need is. Critics wonder whether the government can no longer do anything to make the work more attractive to the Japanese. For example, wages hardly grew, despite the acute labor shortage. "It is said about Japan that there is a labor shortage, but that is really nonsense," says Makoto Iwahashi of youth union Posse. Being 1/8th nippon I would volunteer to help correct that problem.